A motivational presentation, an inspirational magic show that will empower you to step into the fullness of your aims, goals or dream life. This inspirational experience will leave you spellbound with endless possibilities of your own life. It will empower you into positive action of taking hold of the moment. 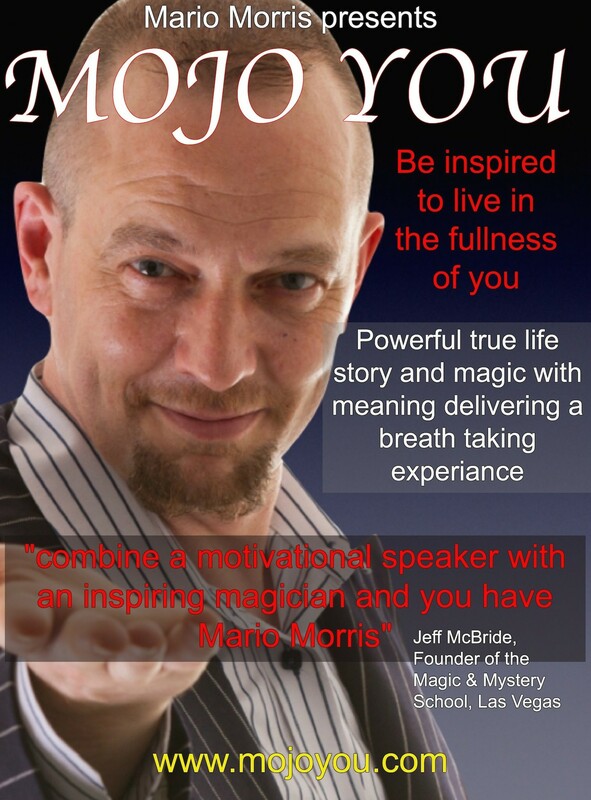 Mario Morris is an award winning magician, international motivational life coach and storyteller. 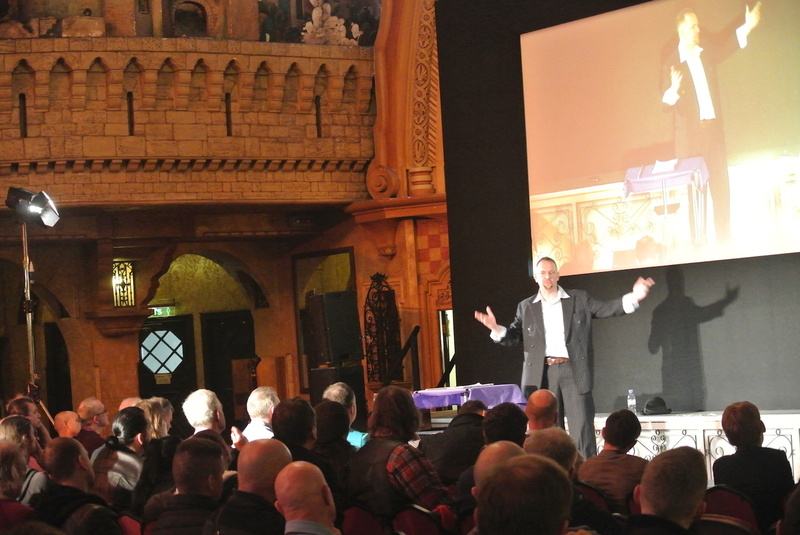 He will deliver a captivating 2 hour show style presentation that will empower you. Mojo You will prove to be an alternative experience of thought provoking and enlightening entertainment – a stand alone production. It is a show, a presentation, a workshop, questions and answers and a magical finale. Mojo You can be tailored towards your event or training, that can run for 12O minutes. It’s guaranteed to fire up your team. There is a shorter focused version of Mojo You that runs for 60 minutes. Ideal to pull a full focus training or workshop program together, or a stand alone as a keynote power presentation.